1968 was a transitional year for folk/rock group, The Byrds, in terms of both musical approach and lineup changes. During the year, the group released two albums, The Notorious Byrd Brothers and Sweetheart of the Rodeo. While each of these albums have their own distinct sound individually, they are extraordinarily disparate collectively, with The Notorious Byrd Brothers having a folk/rock/psychedelic sound and Sweetheart of the Rodeo moving radically towards traditional country and bluegrass. 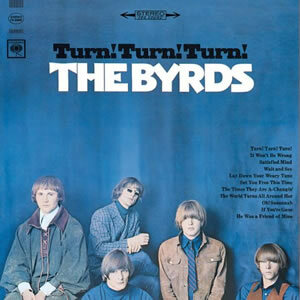 The Byrds hit their commercial peak during the mid 1960s with the albums Mr. Tambourine Man, Turn! Turn! Turn!, Fifth Dimension and Younger Than Yesterday, as well as the multiple hit singles spawned from these first four albums. These were also encapsulated on a Greatest Hits compilation released late in 1967. The group subtly evolved during the time span between their 1964 founding and the beginning of 1968, moving from melodic folk/rock/pop driven by multiple guitar textures towards a more underground psychedelic sound with sprawling instrumentation. Producer Gary Usher, who had first worked with the group on Younger Than Yesterday, produced both of the 1968 albums and (especially on The Notorious Byrd Brothers) employed much innovative studio experimentation. The Notorious Byrd Brothers was recorded in the Autumn of 1967 and it musically reaches the apex of the Byrds’ psychedelic endeavors. With a core folk rock skeleton, the succinct tracks on this album added subtle elements of baroque, jazz, country and the earliest elements of electronic music. While the album is lauded as one of the top albums by the Byrds, the recording sessions were plagued with tension, highlighted by the departure of drummer Michael Clarke and the firing of guitarist, vocalist and composer David Crosby due to his poor attendance at recording sessions and other controversial issues. 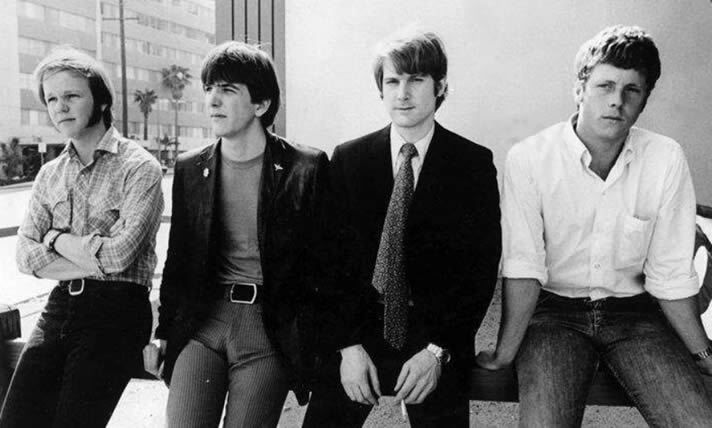 Original band member Gene Clark, who had departed in early 1966, rejoined for a few weeks during production of The Notorious Byrd Brothers but swiftly left the group again. For Sweetheart of the Rodeo, the group added Gram Parsons, a pioneer of country rock. As such, the the Byrds’ overall sound evolved rapidly in that direction and they migrated to Nashville for much of the recording of the album and with many session musicians brought in to contribute. Like its predecessor, there were tensions during the production of Sweetheart of the Rodeo as well as some legal complications. 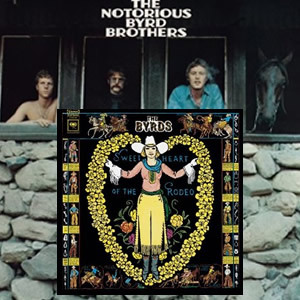 Conceived by the initial concept by Roger McGuinn for the album that would become Sweetheart of the Rodeo was to expand upon the genre-spanning approach of the Byrds’ previous LP, The Notorious Byrd Brothers, by recording a double album overview of the history of American popular music. The planned album would begin with bluegrass and Appalachian music, then move through country and western, jazz, rhythm and blues, and rock music, before culminating with futuristic proto-electronica featuring the Moog modular synthesizer. The Notorious Byrd Brothers begins with the entertaining and inventive “Artificial Energy”, co-written by Clarke, bassist Chris Hillman and guitarist/vocalist Roger McGuinn. The song features a choppy rock and rhythm with sharp, distant horns and lyrics that deal with the dark side of dependency on the drug “speed”. “Goin’ Back” is one of a few tunes co-written by Carole King and Gerry Goffin and it employs a more traditional Byrds’ folk rock sound, complete with chiming 12-string guitar and polished harmonies. Hillman’s “Natural Harmony” follows as a short atmospheric song with plenty of sonic effects, including the use of an early Moog synthesizer. Crosby’s “Draft Morning” is a bass-led protest tune with a soft psychedelic vibe and a clever use of military march and weapons sounds in contrast, culminating with a slight guitar lead playing “Taps” at the very end. King and Goffin’s “Wasn’t Born to Follow” is pure sixties folk with some Simon and Garfunkel lyrical and melodic style blended with country and psychedelic elements. The waltz-like “Get to You” was co-written by Clark and completes the original first side. “Change Is Now” features fine guitar work on differing levels and good musical textures throughout, leading to the short country romp, “Old John Robertson”, a tribute by a retired film director. This is followed by the final two Crosby songs, “Tribal Gathering”, which offers a nice change in vibe with rapid vocal delivery, and the effect-laden “Dolphin’s Smile”. Closing out the album is “Space Odyssey”, a droning and chanting tribute to Arthur C. Clarke’s short story and Stanley Kubrick’s contemporary film. Overall, The Notorious Byrd Brothers is distinct and inventive but suffers from very quick turnarounds as certain moods are introduced and quickly abandoned. In contrast, Sweetheart of the Rodeo is a much more focused album but the group seems to overall be outside of their natural element and musical comfort zone. Sweetheart of the Rodeo is bookmarked by covers of a couple of unreleased Bob Dylan tunes. Right from the jump on the opener “You Ain’t Goin’ Nowhere”, it is clear that the Byrds are moving in a different direction with the heavy use of steel guitar, and good country melody and harmonies. The closer “Nothing Was Delivered” is a bit more interesting in its rich harmonies and cool, thumping refrain which works counter to otherwise country/blues rhythm. Much of the rest of this album is filled with contemporary covers and the occasional traditional song, such as “I Am a Pilgrim”, which has a vibe of pure back-country, porch country-blues with fiddle and banjo really taking the forefront and smooth lead vocals by Hillman. Other highlights of Sweetheart of the Rodeo include William Bell’s philosophical “You Don’t Miss Your Water”, Woody Guthrie’s “Pretty Boy Floyd”, and a couple of Parsons’ compositions, “Hickory Wind” and “One Hundred Years from Now”. After the completion of Sweetheart of the Rodeo in Nashville, The Byrds appeared at the Grand Ole Opry but was greeted harshly by country music purists. Soon Parsons ended his short stint with the band and the Byrds finished out the 1960s as an altered and truncated rock band. Part of Classic Rock Review’s celebration of 1968 albums. The Byrds finished their breakout year of 1965 with their second highly acclaimed and commercially successful album of that year. Turn! Turn! Turn! built on the group’s distinct, multi-guitar-timbre, folk/rock sound with a fine mixture of original, cover, and reinterpreted traditional tunes. Of the originals on this album, guitarist and vocalist Jim McGuinn‘s contributions were on par with those by Gene Clark, who had been The Byrd’s primary composer of original material up to that point in time. McGuinn, Clark, and David Crosby formed the group as a folk trio called, The Jet Set, in early 1964. However, McGuinn had become a fan of the Beatles early music and began to fuse his solo folk repertoire with acoustic/rock versions of their songs. While rehearsing new material, the band began to bridge the gap between folk music and rock and soon drummer Michael Clarke was added to the band. The group made some demos and released one single on Elektra Records, “Please Let Me Love You”, under the name, “The Beefeaters”, in October 1964. Bassist / mandolin player Chris Hillman joined the band in late 1964, rounding out the original five-piece lineup. 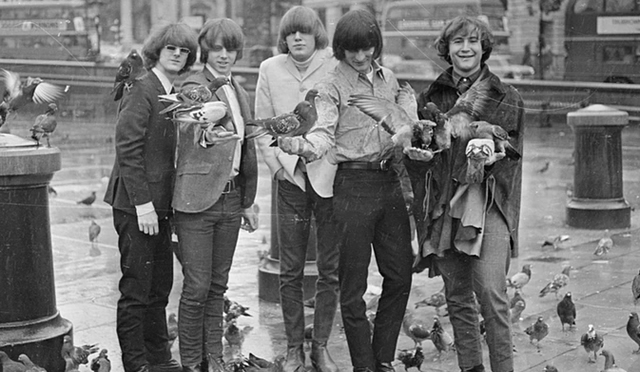 Next, with a recommendation from jazz trumpeter Miles Davis, the group was signed to Columbia Records and decided to rename themselves (one final time) to The Byrds. In January, 1965, the Byrds recorded Bob Dylan’s, “Mr. Tambourine Man”, (a song which Dylan himself would not release until his album, Bringing It All Back Home , in March 1965) as their debut single. The song became a smash hit and led to the recording and release of the group’s debut album of the same name, which reached the Top 10 on the album charts during the summer of 1965. That same summer, the group toured England and was being promoted as “America’s answer to the Beatles”. With this international success, The Byrds returned to Columbia Studios in Hollywood with producer Terry Melcher to record a second album. By now, folk rock was becoming a growing trend and the group was primed to fully capitalize on their momentum. However, the recording of Turn! Turn! Turn! was not without its tensions, as Crosby (who had one co-writing credit on the album) accused McGuinn and Melcher of conspiring to keep his songs off of the album. Crosby had written a handful of originals which were rejected for this album, as had Clark, who had three additional tracks rejected. Most of these songs were included in the extended 1996 CD reissue of the album. The signature guitar orchestra led by McGuinn’s jangly twelve-string Rickenbacker dominates the music of the opening title track, “Turn! Turn! Turn! (To Everything There is a Season)”. These guitars are complimented by perfectly harmonized vocals, and Clarke’s rolling drum pattern under the chorus sections. While it is filled with so much sustained guitar textures, it stops on a dime several times between each verse/chorus sequence, including a false ending before a coda with extra intensity. The song was originally composed by Pete Seeger in the late 1950s, with many of the lyrics were lifted from Chapter 3 of the Book of Ecclesiastes, possibly written by King Solomon in the 10th century BC. With that, the song holds the distinction as the #1 pop hit with the oldest lyrics. Like the opener, “It Won’t Be Wrong”, is another upbeat track but with more standard love song style lyrics. Cowritten by McGuinn and Harvey Gerstand, this track features some interesting style changes which make it unconventional and a bit strange. Clark’s, “Set You Free This Time”, is a country/pop flavored track, especially in its vocal approach. In fact, this is the first song to feature solo lead singer, with harmonies used sparingly and with Clark’s fine harmonica solo as the song fades out. “Lay Down Your Weary Tune”, is the first of two Bob Dylan covers on the album and is set up like a spiritual with the chorus/hook featuring heavy harmonies. Musically, this song has much the same jangly vibe and strong drums as previous tracks, but with an added heavy bass presence by Hillman. The first side concludes with an original rendition of the traditional folk tune, “He Was a Friend of Mine”, a finger-picked acoustic song with stripped down arrangement and a slight, distant organ by Melcher under the later verses. Clark’s, “If You’re Gone”, is different than any other track on the album. Vocal-centric with a slow-rock backing, the song has distinct and interesting, almost haunting, chanting low-register vocals. While not quite as potent as their cover of, “Mr Tambourine Man”, the Byrds’ cover of, “The Times They Are a-Changin'” ,still dekuvers somewhat of an interesting arrangement of the Dylan classic. Further, the group members were pleasantly surprised when Beatles George Harrison and Paul McCartney showed up during the recording of this track. “Wait and See”, is the only song to feature Crosby as a co-writer, along with McGuin, while the group chose to do a souped up version of the popular campfire song, “Oh! Susannah”, to close the album. Turn! Turn! Turn! peaked in the Top 20 of album charts in both the US and UK. However, The Byrds wasted little time moving forward musically, as they released their controversial breakthrough single, “Eight Miles High”, just two and a half weeks after this album’s release. Just two months later, Gene Clark left the group in February 1966, commencing a wave of personnel shifts which would continue through the duration of the group’s career. The movie soundtrack has become a great source for discovering music. Many dramatic scenes are fully augmented by appropriate audio, which in turn drives sales of the songs themselves. It is a nice cross-marketing scheme, but as far as top quality works of new original music by various artists. there are surprisingly few of these albums that actually hold up well over time. We’ve decided to this feature while our regular reviews look at the year 1982, because that was the year when, in our opinion, the best of these movie soundtracks was released, Fast Times at Ridgemont High. The soundtrack features songs of many of the eras quintessential rock artists, most of which were not released elsewhere on conventional artist album. 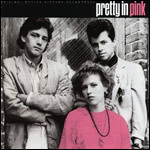 Both this movie and album soundtrack ushered in a heyday for such movie soundtracks (as well as copycat movies) through the early and mid 1980s. But before we delve into the merits of this particular soundtrack, let’s look at some other important soundtracks throughout the years. A significant early soundtrack is that for the 1969 cult film Easy Rider, a film often remembered for its late 1960’s rock music. The album was a surprise chart hit, peaking at #6 on the Billboard album charts, and is most associate with a sub-genre known as “biker music”. Steppenwolf is featured most prominently, as “Born To Be Wild” is played during the opening scene and another song, “The Pusher” leads off the soundtrack itself. 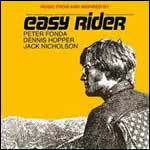 Other songs featured on Easy Rider include The Byrd‘s “Wasn’t Born to Follow”, “Don’t Bogart Me” by Fraternity of Man and If 6 Was 9″ by The Jimi Hendrix Experience. The producers of this soundtrack also utilized a practice which is prominent to this day. When they encountered problems in licensing the original recording of “The Weight” by The Band, they commissioned the artist Smith to record a cover version for the soundtrack. A couple more covers of Bob Dylan were recorded by Roger McGuinn for the album. Heavy Metal was a 1981 rotoscoping-animated film, which employs various science fiction and fantasy stories adapted from Heavy Metal magazine. Due to many legal wranglings involving the copyrights of some of the music, the film and soundtrack were unavailable, except through underground, pirated copies. It was finally released on CD and videocassette (along with a simultaneous re-release in theaters) in 1996. 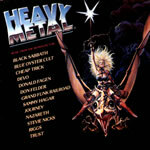 Although the film is called “heavy metal”, the music itself includes original music from various rock genres. This includes songs by Sammy Hagar, Blue Öyster Cult, Cheap Trick, Devo, Donald Fagen, Journey, Grand Funk Railroad, Cheap Trick, Don Felder, and Stevie Nicks. Probably the only true “heavy metal” band represented is Black Sabbath, whose song “The Mob Rules” is featured. The 1985 soundtrack to the movie Vision Quest includes a nice mixture of pop and rock tunes and featured some high charting hits. These include the Madonna ballad “Crazy for You” and the song “Only the Young” by Journey, the last release by that band’s classic lineup. Other highlights from this soundtrack are “Change” by John Waite, “Hungry for Heaven” by Dio, “Lunatic Fringe” by Red Rider and “I’ll Fall in Love Again” by Sammy Hagar, one his last solo releases before joining up with Van Halen. The 1980s were, by far, the heyday for soundtracks, many more then we could possibly cover here. A series of teen-oriented movies by director John Hughes including The Breakfast Club, and Pretty In Pink. The music from these focused primarily on new wave artists such as Orchestral Manoeuvres in the Dark, Simple Minds, The Psychedelic Furs, New Order, Echo & the Bunnymen, and The Smiths. Several other 1980s soundtracks includes the songs by Kenny Loggins, a seventies folk singer who basically made a career out of movie soundtrack songs in the 1980s. Loggins wrote and performed “I’m Alright” from Caddyshack, the title song from Footloose, and “Danger Zone” from Top Gun, all of which were the most prominent songs from those respective films. We’ve decided to use a rather narrow definition of this category which we’re focusing on for this profile. Basically, the main criteria is original music, recently produced, by various artists. Since this excludes, many fine soundtracks, we’ll look at some of the better which fall outside our criteria. Movies which were built around the music of a specific artist have been around almost as long as there have been movies and recorded music. During the classic rock era, this was made most prominent by The Beatles, who made four movies with accompanying soundtracks of their original music. 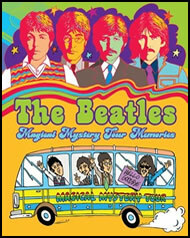 Of these, Magical Mystery Tour is the most interesting, primarily because the music is so excellent while the film itself is so terrible (later this year, we will do a regular review of this album). 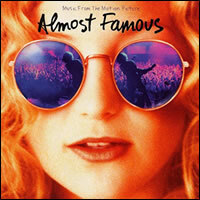 Following in the Beatles footsteps were scores of these types of soundtracks for films at all different levels of production from major Hollywood worldwide productions to documentaries. Some of the best of these include David Bowie‘s 1973 Ziggy Stardust movie, Led Zeppelin 1976 rendition of The Song Remains the Same (something we’ve touched on during a previous special feature on The Live Album), The Bee Gees-centric soundtrack to Saturday Night Fever, Prince‘s 1984 blockbuster Purple Rain, and U2‘s 1988 Rattle and Hum, another one where the music is far superior to the film. Of course, tribute movies to specific artists will also fall in this category (as well as the next), and there have been several standouts here, from Oliver Stone’s The Doors to the Johnny Cash bio Walk the Line to the bio on Ray Charles. There are hundreds more of these films, television series, and documentaries. A unique type of these are those films that feature fictional bands but still produce interesting music. Prominent among this category are Eddie and the Cruisers from the 1980s and Tom Hanks’ That Thing You Do! from the 1990s, both of which focus on the early to mid 1960s era. Along with some of those mentioned above, there have also been some great movie soundtracks that include past music using various artists, usually due to the story itself being set sometime in the past. The best of these include Goodfellas, Forrest Gump, and Almost Famous. 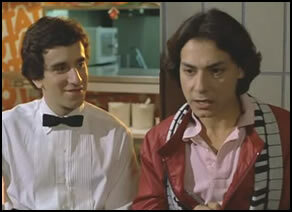 The latter is a film by Cameron Crowe and it profiles his own start as a rock journalist while he was still a teenager. In Crowe’s later life writing screenplays for films, music plays a strong role and the soundtracks are all all interesting. Other Crowe movies include 1989’s Say Anything, Singles, Jerry Maguire, and his 1982 debut film Fast Times at Ridgemont High, which brings us back to the focus of this article. Several of the movie’s songs became hit singles, including Jackson Browne‘s “Somebody’s Baby”, which reached #7 on the Billboard chart. But the excellence of this album lies in the number of great songs by top-notch artists which (a the time) were not available anywhere else. Despite the comedic genre of the film and its suggestive title, many of these songs are great ballads such as “Love Rules” by Don Henley, “Love Is the Reason” by Graham Nash, and “Sleeping Angel” by Stevie Nicks. Other standouts were the title track by Sammy Hagar, “I Don’t Know (Spicoli’s Theme)” by Jimmy Buffett, “So Much in Love” by Timothy B. Schmit, “Never Surrender” by Don Felder, and “Waffle Stomp” by Joe Walsh (for those of you keeping score, that is four of the five members of The Eagles when they broke up a year earlier). As this movie was oozing with rock n roll, several songs in the film itself, were not even included on the soundtrack. These include “We Got the Beat” by The Go Go’s, “Moving in Stereo” by The Cars, “American Girl” by Tom Petty and the Heartbreakers, and Zeppelin’s “Kashmir”, which plays after dialogue about “the second side of Zeppelin 4” (which does not include “Kashmir”). 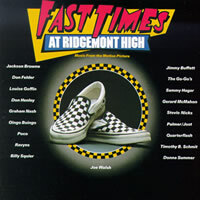 There is further dialogue in the film that talked about Pat Benatar, Cheap Trick, Earth Wind & Fire, and Debbie Harry of Blondie and, during the school dance scene, the band plays covers of “Life in the Fast Lane” and “Wooly Bully”. There may never again be movie which is not primarily about music, that contains so much great music.